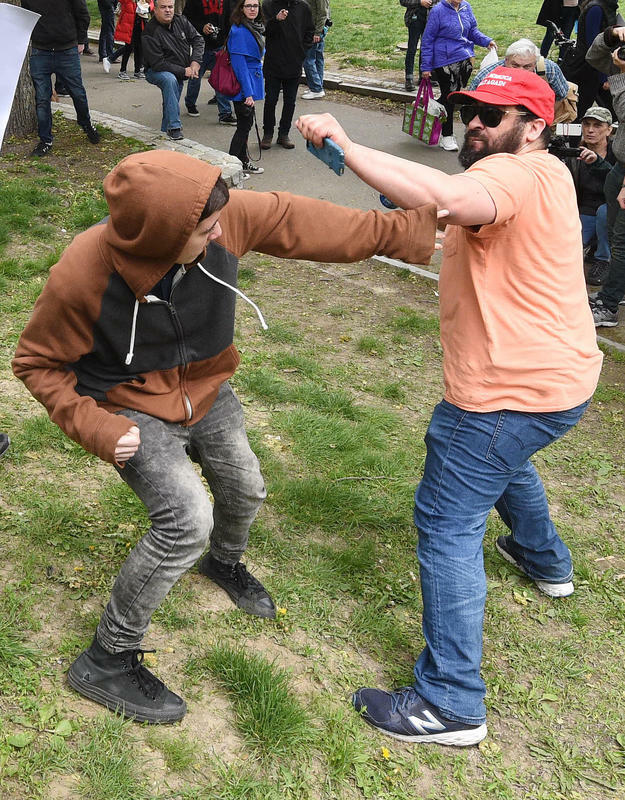 (Boston MA 05/13/17) A Trump supporter wearing a Make America Great Again cap, right, and a counter protester take a swing at each other, after the Trump supporter used a Pepsi to taunt the anti-Trump protesters mimicking the Pepsi commercial with racial overtones, both were arrested, during a large demonstration on 6 different militias and a counter protest, Saturday, May 13, 2017, on the Boston Common. Boston, MA – During a free speech rally by Trump supporters protestors showed up to oppose intolerance. Junior Connor Lang describes the exchange near the Boston Common.